You say that the world is crashing down, but who was there for you? Having spent much of 2012 honing their live show with the likes of Grouplove, Electric Guest and Dale Earnhardt Jr. Jr., The Colourist begin 2013 holed up in a small studio in Southern California. It's there that Adam Castilla (vocals, guitar), Maya Tuttle (drums, vocals), Kollin Johannsen (guitar, bass), and Justin Wagner (bass, keys) committed their pop-fueled, indie-bred rock to tape before embarking on their first tour which included appearances at Coachella along with support shows with Metric and Youngblood Hawke and Atlas Genius. 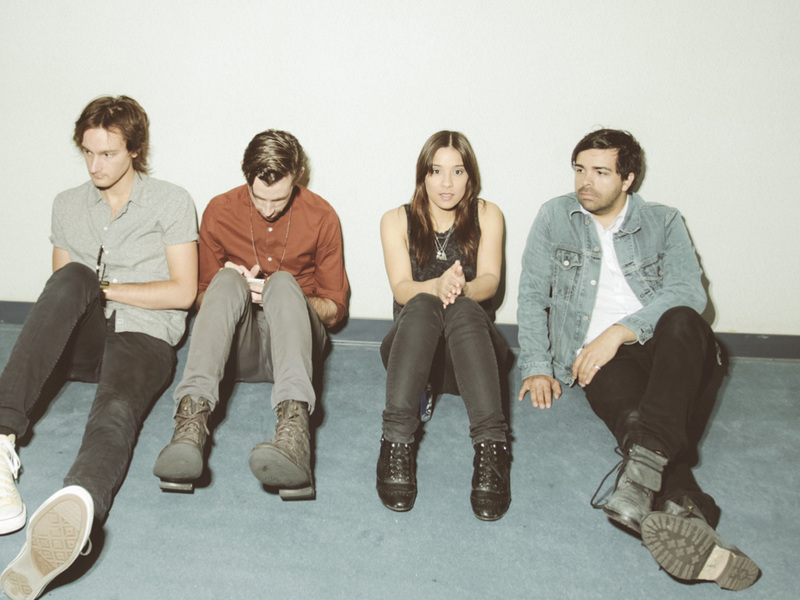 On August 20th The Colourist released their first recorded music into the world with an EP called Lido. The 4 songs represent a sampling of this band's ability to write smart, engaging songs laced with hooks that leave you wanting more. Lido includes the band’s first single “Little Games” along with three other equally infectious tracks: "Yes, Yes," "We Won’t Go Home" and "Fix This." After a breakout performance at this year's Coachella music festival and tour dates with Metric, Fitz and the Tantrums and Atlas Genius the much buzzed-out Orange County quartet are currently transfixing listeners everywhere. "Little Games" glistens with unshakable harmonies from co-vocalists Adam Castilla and Maya Tuttle as it builds into alternative pop bliss.